Indoor photography is a challenge, the light is usually poor, white balance can be tricky from room to room, using a tripod in Street Photography is out, and there are usually less crowds for you to blend into. I recently met all of these challenges at the Carnegie History Museum where I was blowing a couple of hours before meeting a friend to go indoor climbing. I have wanted to try Street Photography there for quite some time but even though my Nikon Df is one of the smaller DSLR cameras on the market, it wasn’t until I got the tiny X100T that I felt comfortable enough to give it a try. Lighting is generally the biggest challenge while shooting indoors. Every image I took was taken at ISO 5000 or 6400. 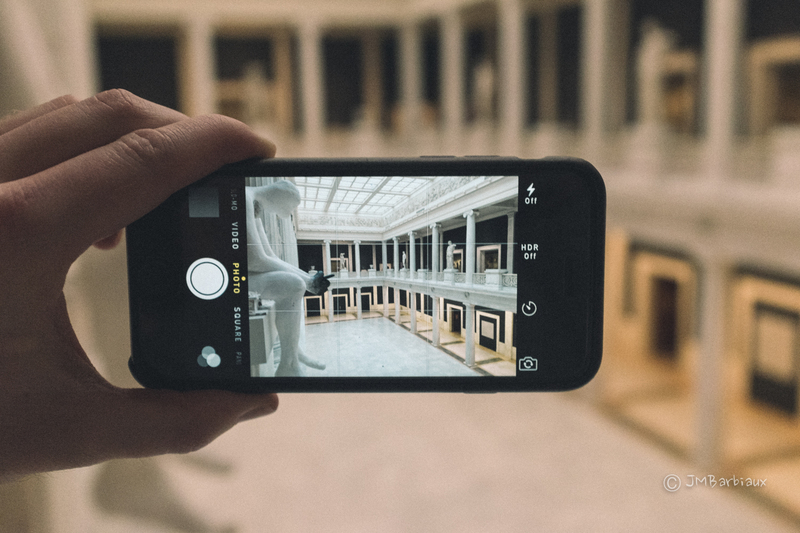 If you’re like me and had never photographed inside a history/art museum you might be wondering if you’re allowed to take photos because of all of the copyrighted art. The fact is, each museum is different. The Carnegie History Museum clearly marks on their map where you may or may not take photographs. Luckily, there was only one room that you are not allowed to photograph, the Gem room, which is my least favorite room in the entire museum. Sorry Geologists, they look like a bunch of shiny rocks to me. I used the Fuji X100T, one of my favorite Street Photography cameras, for the entire trip. I was more than pleased with the X100T and it’s abilities to create clean images at such a high ISO. 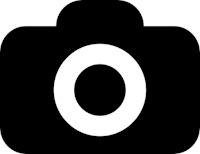 * It reiterates the importance of a quality camera for Street Photography if you want to be more versatile… I don’t know about you but I don’t want to have to put my camera away when it gets dark out or I go indoors. * Grain was actually added in post processing to all of the images you see here. Fortunately, this photograph turned out to be weak in regards to content and composition so I wasn’t too bummed. I was able to capture a better image with better composition and content later on in another room (below). To me, this was the quintessential art gallery image that documents the human experience perfectly. 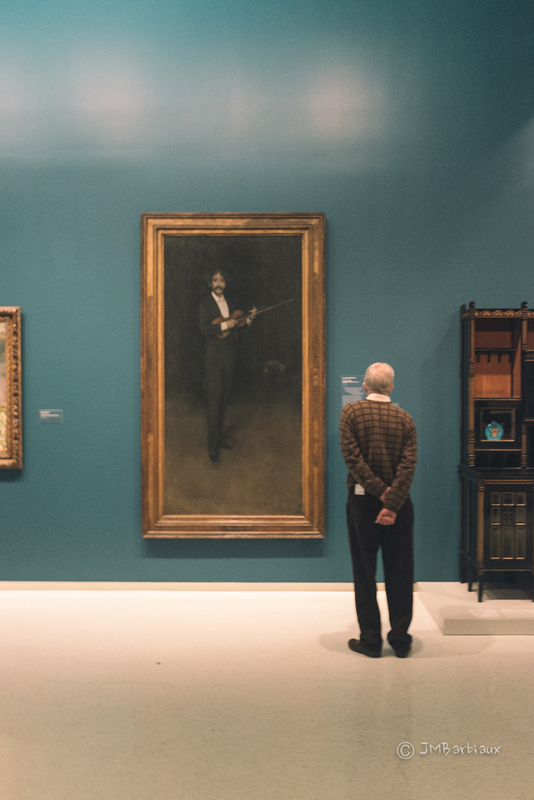 I really liked the complimentary colors and the juxtaposition of the man in the painting compared to the man looking at the painting. 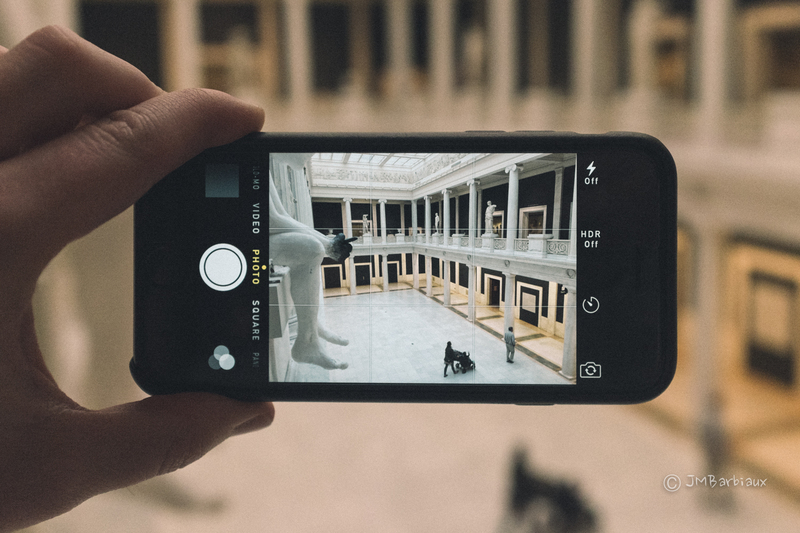 Photographing inside of the museum gave me time to experiment with some ideas I had. Photographing on the street, especially NYC, tends to be so fast paced that I rarely have time to stop and contemplate another way to do this or that. Below is a series of three shots (out of about 6) that I played with to see if anything good would come from it. None of these shots really jump out at me but they got the creative juices flowing and were a lot of fun to do. Which reminds me, you know who is a good example of someone who practiced Street Photography for nothing more than the sheer joy of it? Vivian Maier. Maier had no interest in being noticed for her photography, or anything really, and didn’t become famous until after she died. She had hundreds of rolls of film that were never even developed, now that’s someone who takes photographs solely because they love to take photographs. If you were told you could never see the photographs you took, would you still want to take them? 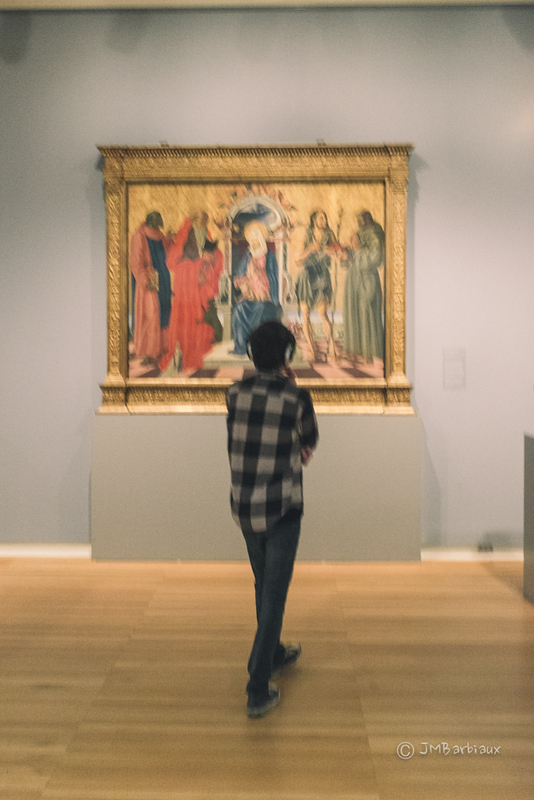 I had a lot of fun practicing Street Photography at the museum, I’m looking forward to spending much more time there. Next time I go I will try to pick a busier time, there were often areas where I wanted someone to walk through so I could capture a shot but it just didn’t happen. As for the people, most people are so engrossed with the displays that they have no idea you’re taking their photographs or if they see you they assume they accidentally got in your way. 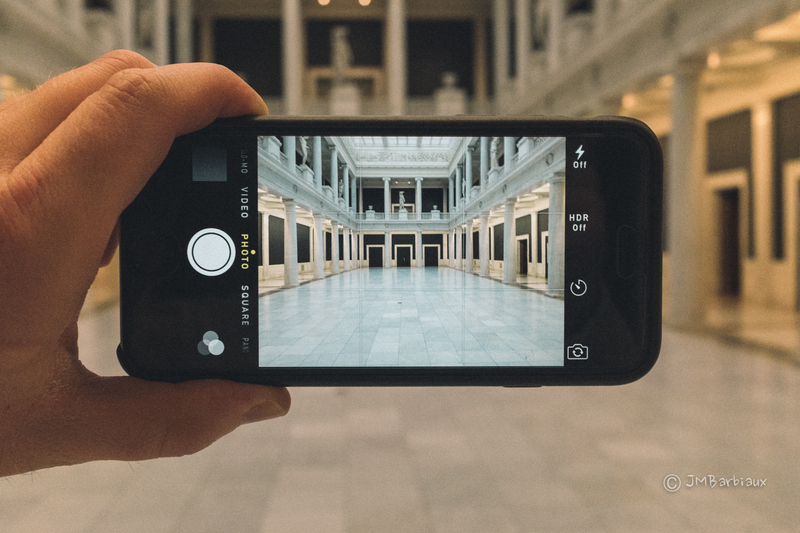 Have you ever practiced Street Photography in a museum? Share your photos with us over on the Facebook page.